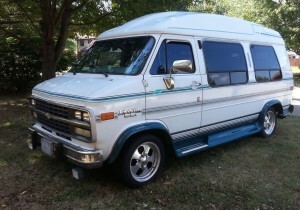 I recently purchased a 1995 Chevrolet Van G20. It’s a Cool Custom Conversion by Turtle Top. On the way home with this new toy, the Blower Fan stopped working. This van has front and rear A/C. The rear fan was still working, but the main fan in the front that blows air out of the vents for both the Air and Heat stopped. It would not run in any setting, low or high. 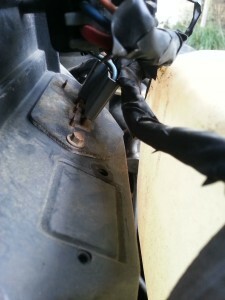 Here is what I did to get it blowing cold air again! First I checked to see if the fan was getting power. For this you can use a test light or multi-meter. I turned on the ignition key and set the fan on High. There was no voltage at the fan positive side (purple wire). Next I checked to see if I was getting voltage to the Fan Relay. To do this I removed the wiring connector from the fan relay and tested every wire. There was voltage to the Red wire, but no voltage to pin 85 or 86 which turn the relay on. 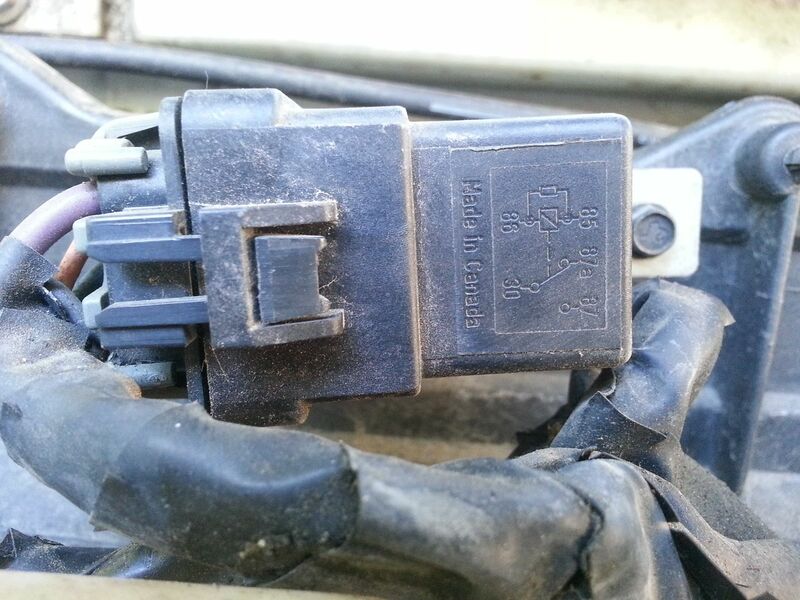 Since there was no voltage to turn the relay on, then it either had to be a blown fuse or bad fan control switch,. Sure enough I found a bad 20amp fuse in the fuse box. 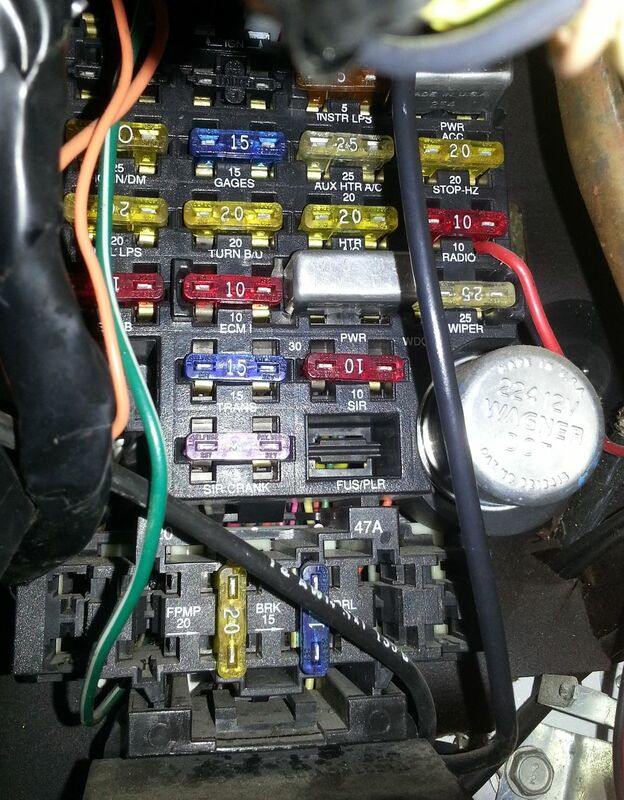 In the first picture it’s hard to see because it is right above the silver power relay. 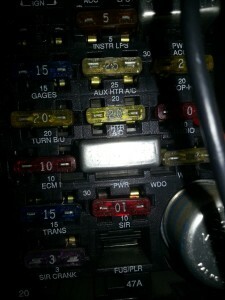 In the second picture you can see it’s labeled HTR A/C. Note: Click on a picture to enlarge it. The blower was now working but I suspected there might be something wrong with the Blower Fan Resistor that caused the fuse to blow. The Resistor is the little guy that lowers the voltage to the fan when it’s on a setting other than high. It’s a little hard to see because it is located right under the relay. To get to it you have to remove the relay, then remove the two little screws holding it to the blower box. 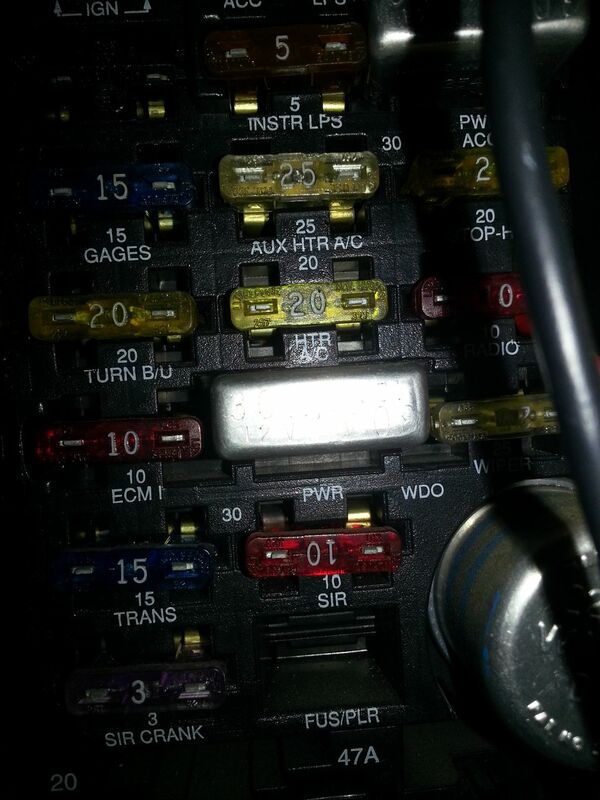 Here is a picture of the of it under the relay. I removed the resistor and it looks like the picture below. I found leaves, grass, and other debris that had been sucked into the blower box. Not only were there leaves and such stuck in the resistor coils, but the box was just packed full of stuff as well. 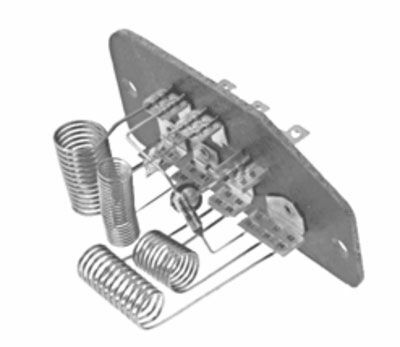 As you can see it has a bunch of springs/coils that can easily trap anything that gets into the blower box. These coils can get very hot when the fan is running. I’ve heard stories of smoke coming out of the vents because of debris caught in the coils that started to smolder. There have even been recalls on some vehicles because the blower motor resistor was a “fire hazard” The moral of the story is; always find the cause of a blown fuse, do not just replace the fuse and continue on. It would be wise to do something to prevent things like this from getting into the box in the first place. I believe it’s entering from the vents just below the windows. This is not the only vehicle that has this problem. 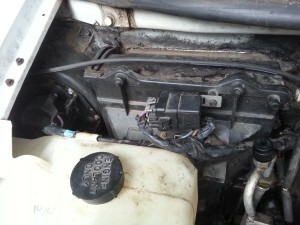 I have seen some posts about other vehicle where people have installed mesh wire (window screen wire) over/under any openings that lead to the heater box. I plan to look into this a little more. I hope this helps someone who has an old Chevy Van like this with the same issue. Random Chevy, DIY, G20, Repair, VAN. permalink. This was great help thank you!! I just replaced my relay, resistors and fan motor all at once. i would try to troubleshoot but it was easier to just pay $14, $13, $17 respectively. It was the motor, but the resistors did have many dried leaves stuck to them. many thanks for the pics. 1990 Chevrolet G20 Mark III 5.7L Conversion. 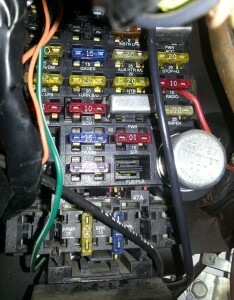 Hello friend, I have the same problem, check the fuses and everyone doing well. every place blows air but not later grids. not if you can guide me that another problem might be. not turn on the light of the markers where the air conditioning is controlled. But ysterday I had smoke coming from the vent! Stopped right away and today i followed your guide to clean the resistor and vaccum everything. No smoke anymore but still same old problems of no air blowing from vents, no matter if it’s on high or low. I will appreciate your thoughts about what causing the problems, and a guide on how to replace the motor i needed. Also help with how to find parts numbers so i can order them. Hey, I would replace the resistor just to be sure. Sorry, I don’t have instructions on replacing the blower motor and I sold my van some time ago.